Welcome back. Two or three years ago, I wrote, complaining about Loud Commercials. (I know; it’s hard to keep track of my complaints.) I was objecting to the ramp up in amplitude when certain radio commercials came on before my predawn jogging. There I would be, stretching on my floor mat or hands gripping free weights, listening to the news-weather-traffic, when WHAM!--a thunderous car commercial would rattle the room. As I wrote, the FCC was preparing to establish new rules for television, not radio. can distract me from reading. 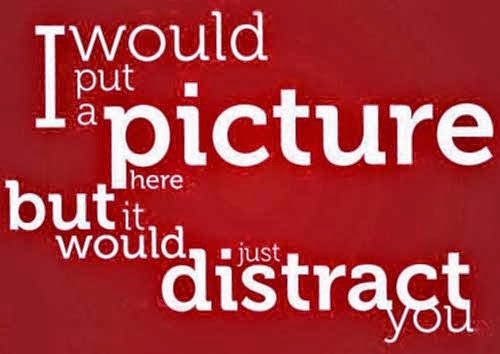 As I get older, I have a harder time ignoring distractions. If I leave the volume up, I sometimes have a difficult time trying to read (i.e., comprehend) the news tape. I may be the only old guy nutty enough to be exercising before dawn, but apparently, aging is associated with deficits in the ability to ignore distractions--or at least that’s how the abstract of a recently reported study begins. The study may have demonstrated a strategy to help address this problem. To test a cognitive-training approach for reducing one’s susceptibility to distractions, investigators from the University of California, San Francisco, and McGill University conducted parallel auditory experiments with humans and older rats. In 12 half-hour training sessions over several weeks, 47 older adults (average age 69) were trained to identify specific tones (audio frequencies) through reinforcement feedback and then to distinguish those tones from progressively similar, distracting tones. The training resulted in enhanced discrimination abilities, with accompanying improvements in memory and attention spans. One measure of improvement was provided by electroencephalographic (EEG) measurements of the older adults’ brain activity (frontal theta), which showed reduced responses to the distracting tones. A measure of improvement that registered better with me was obtained by giving the participants a test of distractibility before and after the training. Compared with 15 younger participants (average age 24) who had not received any training, the seniors scored 14% worse before the training and 31% better after the training. Although you might not be as impressed with cross-species results, the experimental findings were similar for rats. One possible cloud over the study is that the investigators are financially involved with the training strategy. As I wrote earlier (Research Sponsor Bias), when there is such involvement, it is critical that the research be structured to avoid possible bias. In the absence of information to the contrary and given the peer review process for publication, I’ll assume that was done. I certainly hope so since, in an effort to expand their target audience, the investigators are reportedly conducting similar studies with children diagnosed with attention deficit hyperactivity disorder (ADHD). Me? I can adjust the volume; but getting kids off meds would be quite a breakthrough. Thanks, J. For sure, aging is all downhill after a certain point, and continued learning should contribute to brain health. But learning has its own problems, which I plan to write about next Friday.